If there’s one poker player in the world who doesn’t need much of an introduction, it’s Doyle ‘Texas Dolly’ Brunson. With more than 50 years of poker experience, this legend of poker has seen, done and heard it all, and not just in relation to poker, but to life as a whole. Since late 2007, Brunson has been sharing his poker anecdotes and life experiences with the rest of the world in his personal blog. The first thing that immediately becomes apparent when reading Doyle’s blog is his maturity and humility. Unlike many other poker players today, he doesn’t feel the need to constantly reiterate how great of a player he is and how much better he is than everybody else, or bash fellow poker players. He sees the world as it is, and not how he would like it to be, which is a very refreshing change from listening to players like Hellmuth, ‘full_flush‘ or ‘Ziigmund‘ and their constant ranting. Not only are many of Brunson’s blog posts entertaining to read, every one of them also comes with a great proverb, or as he calls them, the ‘Doyleism of the day’. These include phrases like ‘A clear conscience is usually a sign of a bad memory’ or ‘Reputation is a bubble that bursts when a man tries to blow it up for himself’. All in all, our editors have become big fans of the Doyle Brunson blog while researching for this article, and now we know why it stands at the top of numerous ‘best poker blog’ lists. 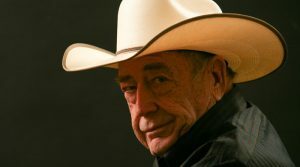 Feel like reading Doyle brunson’s poker blog, then follow this link.